There are times when I would like to take my kids somewhere fun to eat. Invariably we end up in an unhealthy fast food takeaway – and as for sweet treats, healthy options are few and far between. 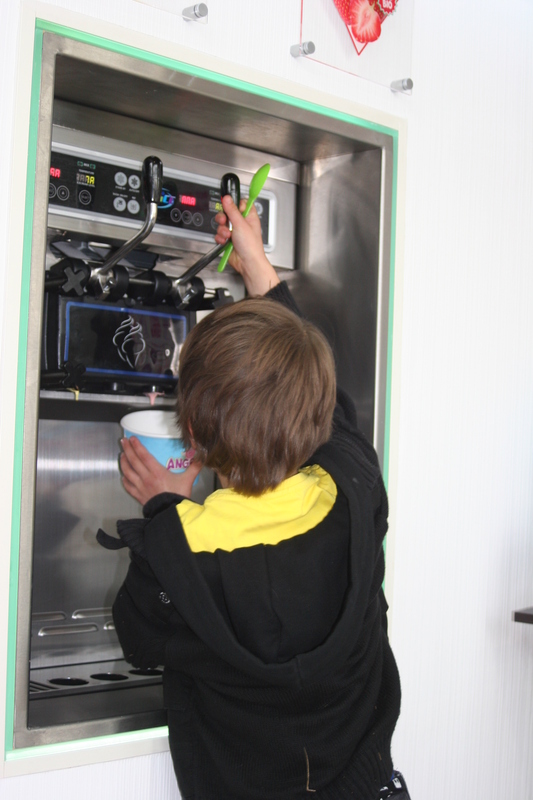 So when we were invited to AngelBerry Frozen Yogurt Factory for the launch of their new Bubblegum Campaign, I was keen to see whether a low-fat sweet treat would leave the children impressed . 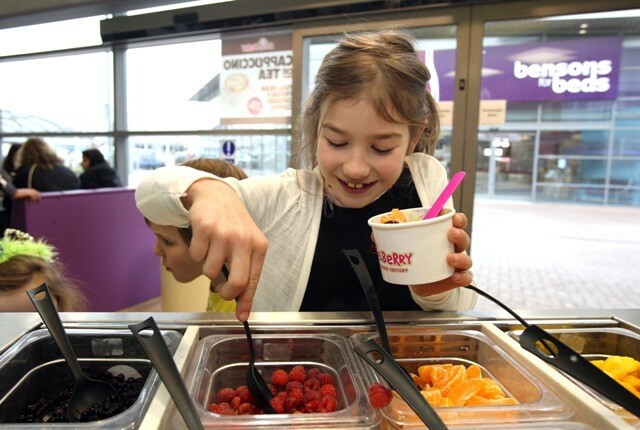 Angel Berry Frozen Yoghurt Factory, located at Imperial Retail Park, Bristol is a new concept for this area. The colourful, yet simple decor and uncluttered layout make it appealing for adults and children alike. We were greeted by a cheerful and helpful assistant who showed us around the flavours and gave us some taster pots to decide on our favourites. This was particularly appealing to my one year old! 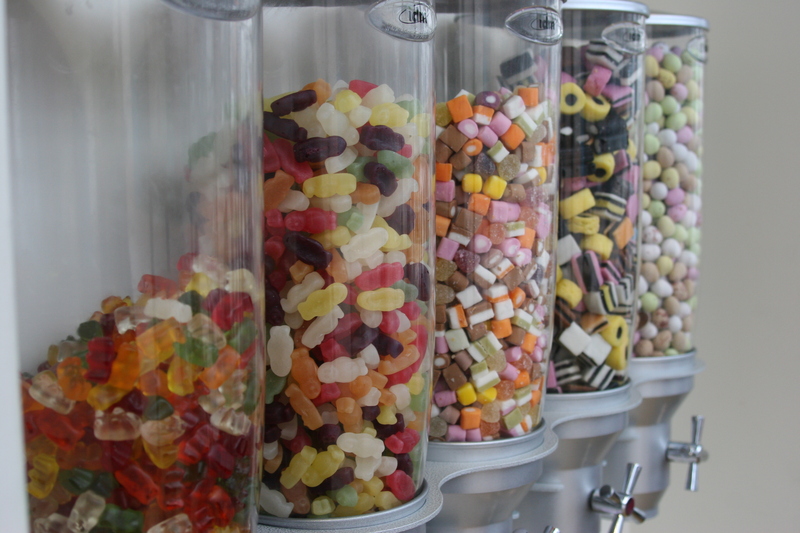 We were then given a larger tub and could choose as many flavours as we liked. There are 10 different flavours at any one time and new flavours are added regularly. At our visit they had just added Pistachio, Caramel. cake and the charity flavour Bubblegum. 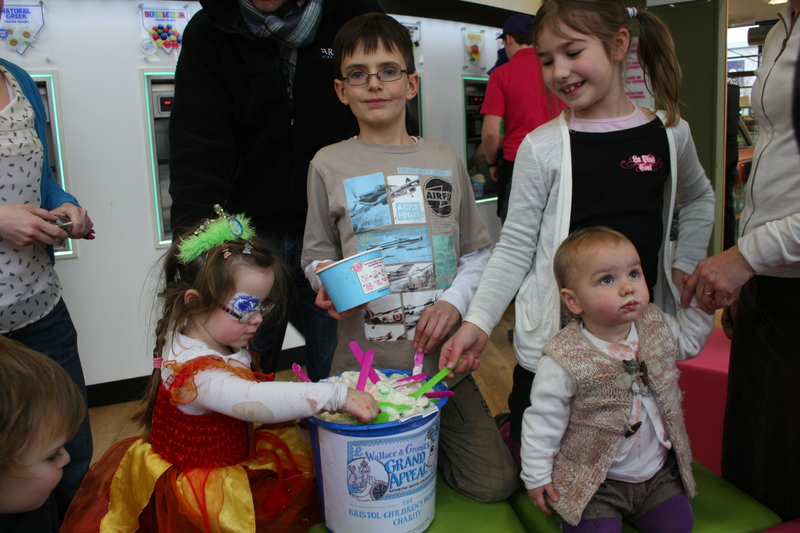 During Half-Term week all proceeds from the sale of Bubblegum flavour will go to Wallace and Gromit’s Grand Appeal. The Grand Appeal has raised over £18 million towards the first purpose-built children’s hospital in the UK and continues to support the hospital by funding pioneering medical care and equipment, arts, music and play programmes and accommodation for the sickest children and their families. My children couldn’t decide on a favourite flavour ( I thought chocolate was particularly delicious) but they liked blueberry and mango a lot. 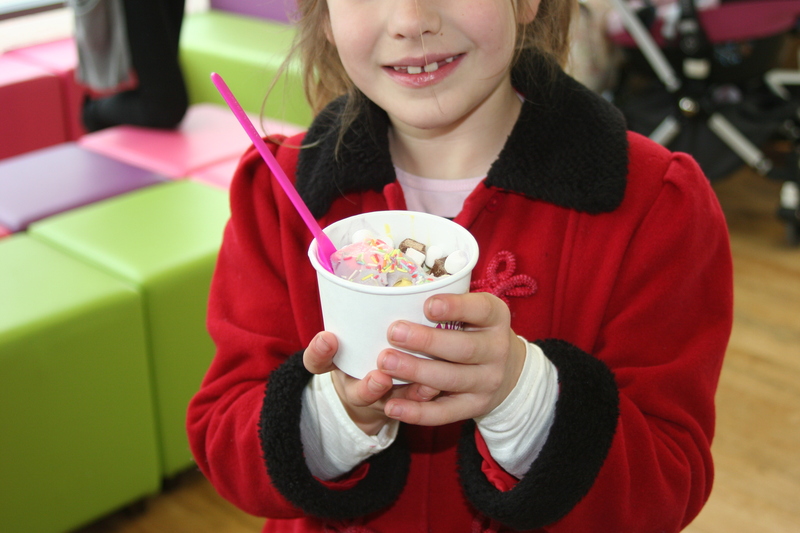 After choosing a few flavours there was even more fun – adding toppings, and boy were there a lot of them, talk about children’s heaven. 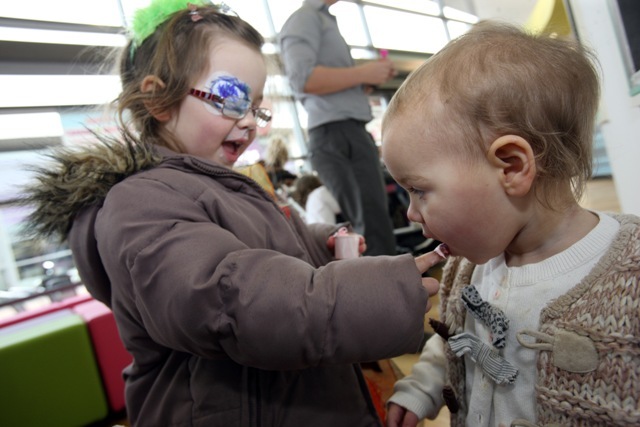 I am a particular fan of offering children choice and the chance to try things for themselves. This was the perfect opportunity for children to practice using the pumps, experiment with flavours and create something beautiful. The frozen yoghurt is priced according to weight, I’d suggest giving children the smaller sized tub or they could get eyes bigger than their belly syndrome. My 3 year old is interested in exploring food with her hands at the moment and this was no exception. I can certainly say that the yoghurt went down well with my girls and my 1 year old had a chance to practice her new word – ‘Finished’. They certainly didn’t notice that it was a healthy option and as a huge ice-cream fan myself this is a great low-fat alternative for me. 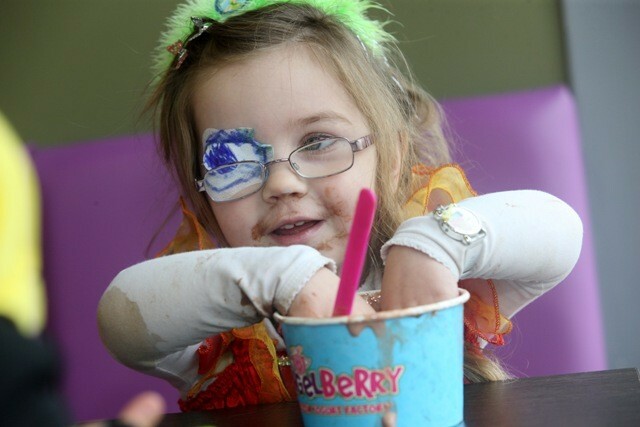 AngelBerry has only been open for one month but is proving very popular. 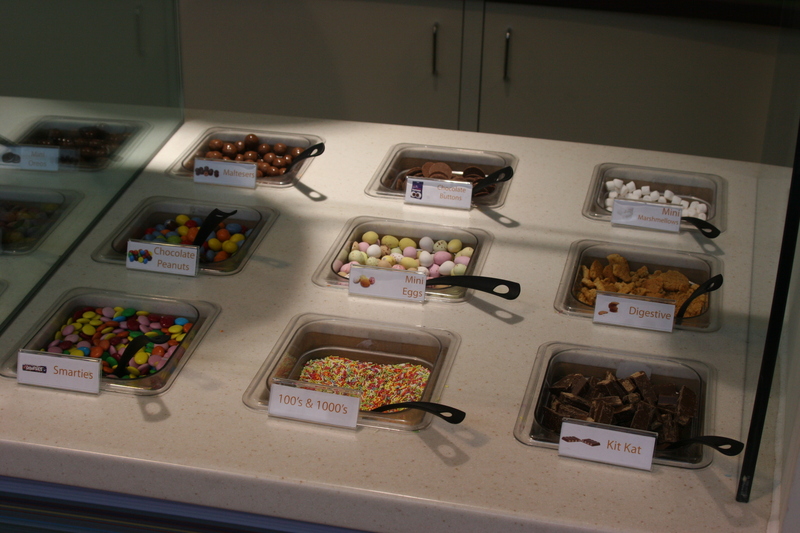 AngelBerry are continually coming up with new ideas for toppings and flavours and are open to customer suggestions. 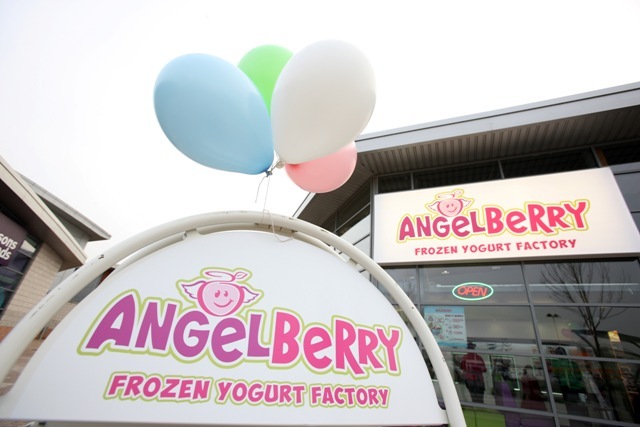 I think AngelBerry would be the perfect venue for a children’s party, maybe in conjunction with the local cinema or water park. If you are in the Bristol area and fancy taking the children somewhere different for a Half-Term treat, AngelBerry is certainly worth a visit. 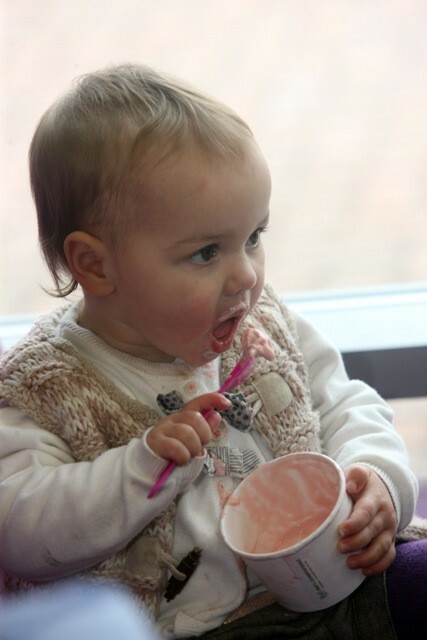 Don’t be put off by the cold, you can always drink coffee while the children eat the yoghurt and smoothies and milkshakes are also available. I’ll certainly be coming back. Hopefully they will expand soon and open more venues so that I don’t have to travel so far. This is not a sponsored post and no payment of any kind was received for writing this review.